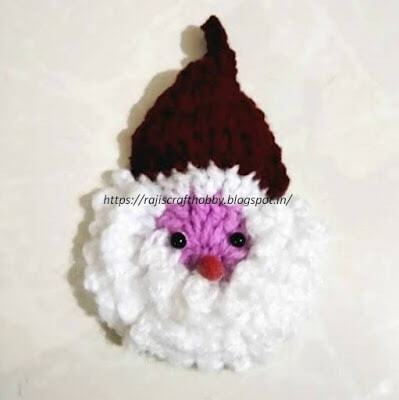 Learn how to make a Crochet Santa Ornament! Christmas time is right around the corner and it’s time to start getting ready! Decorating Christmas tree is probably one of the most exciting things to do with your family during the holiday season. Handmade holiday projects are so much fun to make. Make these very cute little Santa ornaments to hang on your tree.It is very quick to make and they would look really cute on your tree. These also make really great easy gifts to give for the holidays.